Today while looking at panier bazar, i could only be surprised at the price of porc meat. I knew 5 years back that the price of one pound of meat was Rs45.00 Then there was the issue of infected pigs. At that time the price was Rs 90.00 Now to my utter surprise, it has risen to Rs 130 per pound!!!! Ouahhh 300 percent increase. Unbelievable! Does someone know the price of one pound of beef or poultry? Considering the price increase spiral, guess that those too have suffered the same fate. What about the price of vegetables? Guess that those too have risen… Ki pou manger do?? 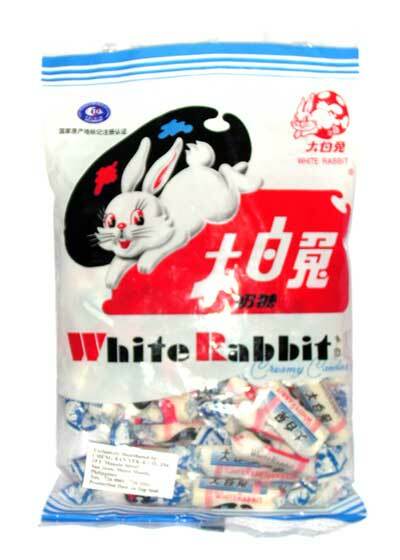 Just heard that the white rabbit sweet is under close scrutiny by our health inspectorate. I do remember i love to eat them when i was in primary school. Afterward, no sight of them. Perhaps because i began to draw a line because most of my teeth got rotten and had to get them removed. Sniff!! Probably the most talked of the day, may be of the week!! The slaughter of a horse, video of which has been found on the web. The MSPCA, international organisations against cruelty of animals, the MTC and the police are all concerned about the treatment inflicted upon the animal. So much so for the reputation of the island concerning our love for animals. Second holiday forcer for all primary, secondary and tertiary institutions. 18 primary schools will remain closed tomorrow, Friday 19th September 2008, as a result of heavy torrential rains prevailing on the island. More than 200 mm rainfall have been collected and most of our reservoirs are at least 83% full, except for Midlands and Piton du Milieu which are 100% full. Flooding is expected to occur and as a result of heavy saturation of the ground. Already houses near to rivers and areas where there are no proper drainage systems are victims of flooding and water entering their homes. The North and East and South are mostly affected. Now landslides are threatening areas between GRSE and Beau Champ. Police are warning road users to be careful in these regions. As to 1945hrs, the country is still under torrential rain warning and it will be tomorrow when parents will be informed whether school will resume. For horse racing lovers, the event will probably be postponed to Sunday. The track is not practicable. It was so funny what happened today. The boss’ wife could not get a printout from her newly bought desk jet. She has been planning her sister’s wedding since one month and it is now that she is printing menu cards or programme 4 days prior to the great day. Since she could not print from her printer, she sent the job to my printer. The hardcopy was pale. She used to print her son’s colloriage and puzzle games, and wedding gowns pictures on my printer. No surprise the toner got low. She asked me to change the toner, to which i replied i do not have a new one. I urged her to get a technician to solve her printing problem. The technician could not make it and she again called me to the rescue. I responded annoyed since i got loads of work to do, and so reluctantly asked for the printer manual, checked the ink cartridge, switched on and off the printer, and finally got to the printer manager to kill all pending print jobs. I finally called a test page. Great was my surprise to see that the printer cable was not connected to her laptop!!! When i made the remark to her, she replied who disconnected the cable. Her brother was there and he replied who else other than her could disconnect the cable when she brought the laptop back home. Oh dear! Ki mon faire pou merite sa??? Si li ti blonde mo ti pou compran, enfin ena exception. You are currently browsing the tapijo blog archives for September, 2008.